In real life an hardware-ISR/ASR-Router might be the correct choice. 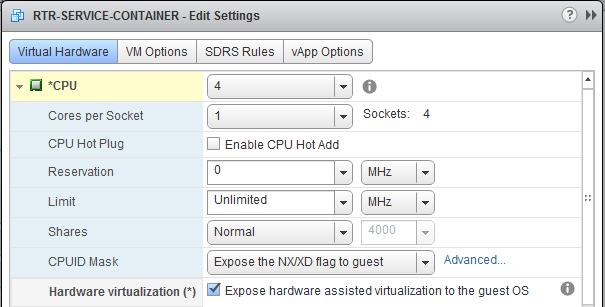 i forgot to enable nested-virtualization for the CSR1000v-Router-VM. That’s it, the CSR1000V is ready.